From boots to sneakers and jackets to jeans, leading investment pros offer their retail choices for your portfolio. These 'bearish bets' show weak technical characteristics and recently received quant downgrades. Happy Friday! Futures traded mixed as investors digested an earnings from GE and Microsoft. Let's lace up a few charts and indicators. General Electric shares fall after missing profit estimates, while Skechers stock surged on its quarterly report. Today's top stories: The U.S. Senate will use a procedural maneuver to pass tax legislation through the Senate, GE beat revenue expectations and Sketchers sales are doing extremely well overseas. Wall Street ends the day with slight losses on uncertainty over the upcoming French election and another sharp drop in crude oil. All three major indexes close Friday at record highs for the second consecutive session. Jim Cramer says the recent stock rally is focused on two main industries. This feels more like hands-off stock. A positive earnings report from Microsoft and a weaker one from GE pulled markets in different directions for much of the day on Friday. 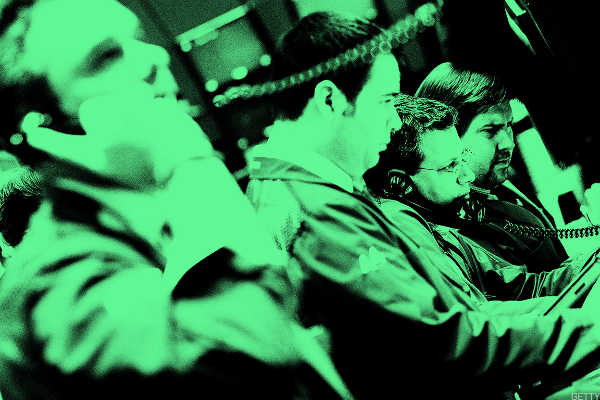 Honeywell and Microsoft were both rising premarket on earnings beats, while GE and Skechers faltered. The average maximum intraday move clocks in at a whopping 15.7%. Shares of Skechers were lower Wednesday after Morgan Stanley downgraded its rating on the stock to Equal-Weight from Overweight.